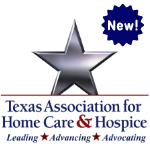 Program Description: The Texas Department of Aging and Disability Services is required to compile and report survey and enforcement data every year in its Regulatory Services Annual Report. Part of this report includes the top 10 deficiencies cited in home health and hospice surveys during the fiscal year. A vast majority of the top 10 deficiencies listed in the FY15 annual report continue to be top 10 issues or deficiencies in FY16. In this webinar, attorneys Jennifer Papapanagiotou and Anthony Cutrona will discuss the latest report to help home health agencies and hospices identify the most frequently cited deficiencies, review sample survey citations, recognize areas where your agency or hospice may improve patient services and how to respond to imposition of administrative penalties and enforcement action. Participants will actively engage in the learning activity and indicate an intent to change their practice by addressing identified quality improvement issues in an effort to ensure compliance and improve quality of patient care . Jennifer Papapanagiotou’s practice focuses on compliance, regulatory and transactional matters for a wide array of health care providers, including home health and hospice agencies. She has extensive experience in analyzing proposed and existing business arrangements for compliance with federal and state fraud and abuse laws, and drafting a wide variety of legal agreements. Ms. Papapanagiotou is knowledgeable in all aspects of state licensing for home health and hospice providers, and in Medicare and Medicaid enrollment, including initial enrollment, changes of ownership and appeals of revocation actions. Finally, she assists clients with compliance plans, forming new businesses, and addressing Medicare and Medicaid program coverage and reimbursement issues.